I’m excited to be here on the Hey June blog today. 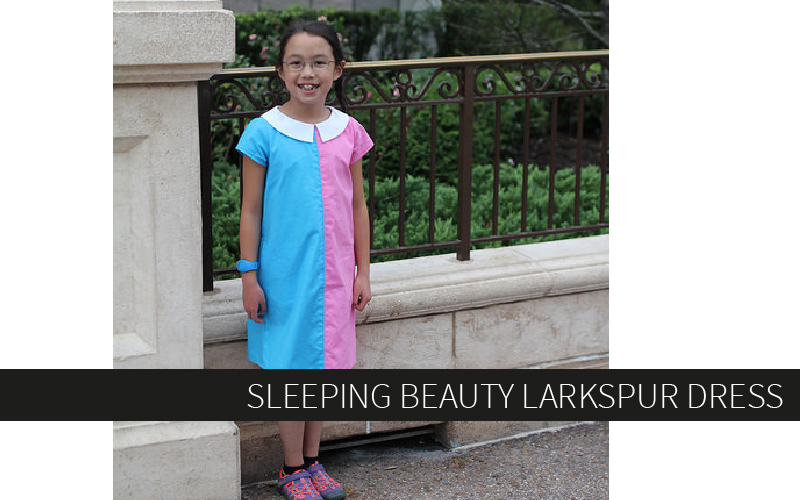 I’m sharing an easy hack on one of my favorite Hey Juniors patterns, the Larkspur Dress. I love this simple silhouette. It’s so easy to change up the look with fabric choice and adding pretty details. 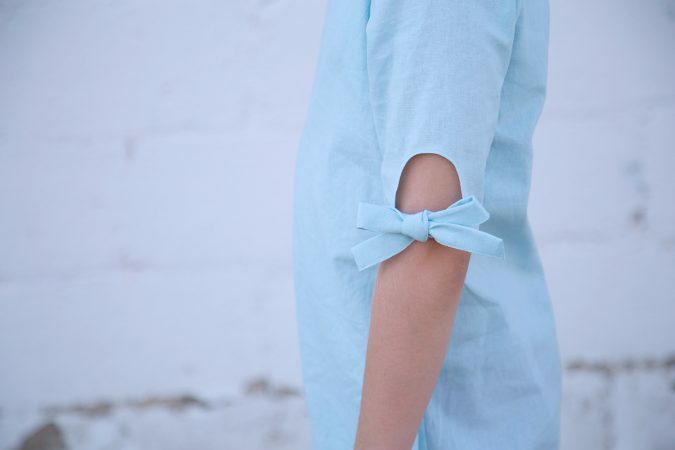 Today I’ve got an easy bow tie sleeve hack that works perfectly with the Larkspur but would also be an easy addition to almost any sleeved pattern. 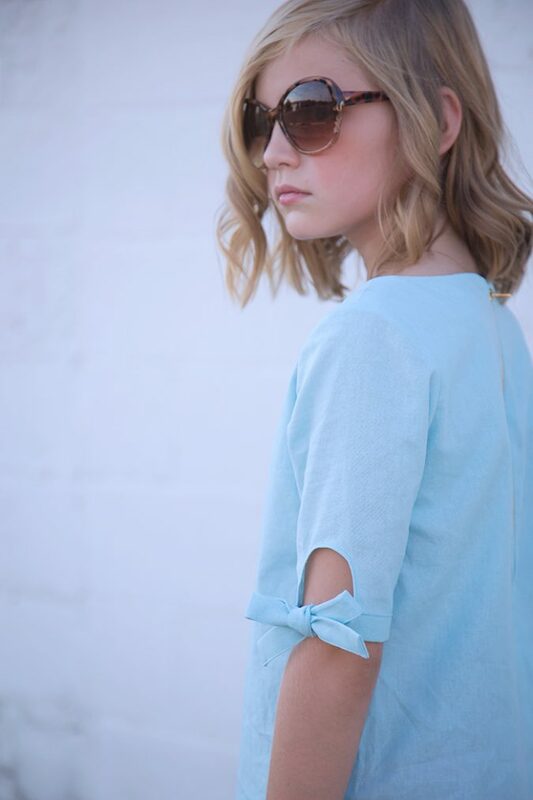 The classic shape of the Larkspur makes fun details like this sleeve really pop! For this pretty sleeve detail we’ll need to make a little alteration to our sleeve piece. 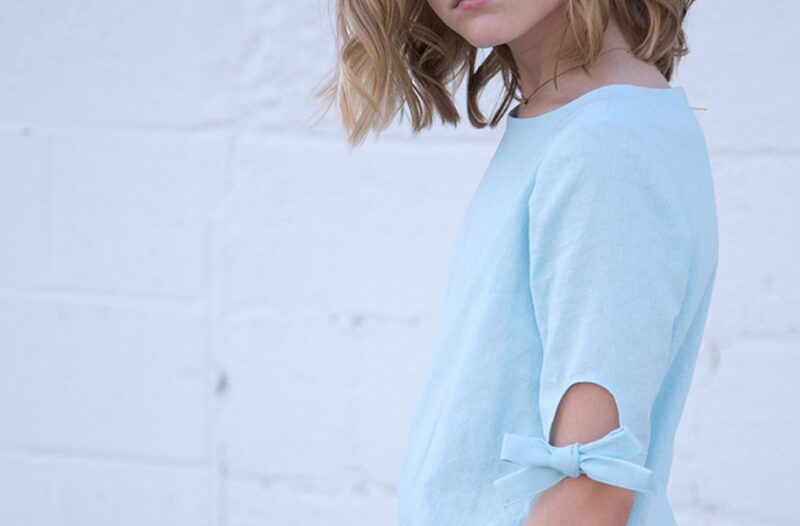 The Larkspur has a v-shaped notch on the elbow sleeve piece. We’ll use this as our guide. We will round the top of the v and create a u-shape instead. I used a large spool of thread as my guide to round out the top of the v. Then draw lines to meet the bottom of the v, creating your u-shape. Cut out your new sleeve. You will also need tie pieces. Cut out two rectangles, mine were 3″x26″ for this size 8. You can make them as wide or as long as you’d like but this size worked well for me. Finish the edge of your U with a zig zag stitch or serger. Iron this edge under 1/4″ and stitch. Sew your sleeve to your dress per the pattern directions. Continue sewing up your side seams as well. Now we will iron our ties. First fold them in half lengthwise, wrong sides together and iron. Then fold in each long edge towards the middle crease and iron, creating a binding piece. Fold the piece right sides together and stitch the short ends with a 3/8″ seam. Trim the corners and flip the ties right sides out. Find the middle of your tie and the middle of your sleeve (hint: it will be slightly off from your sleeve seam). 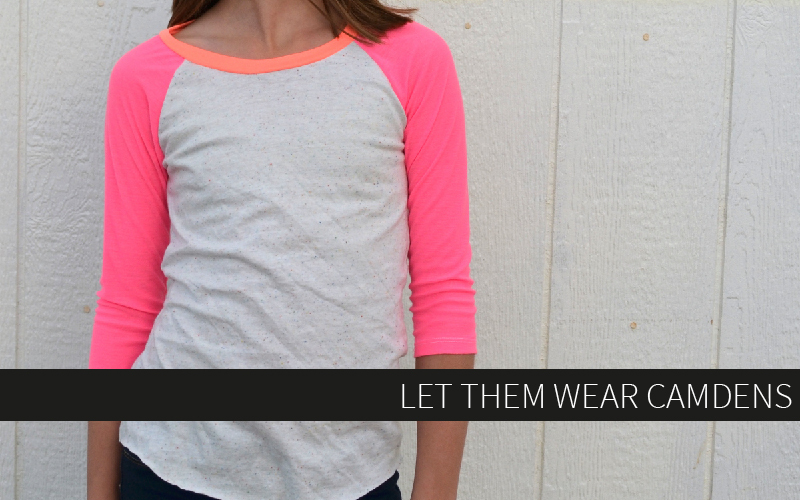 Sandwich your sleeve hem in your binding matching the middle of both. Pin in place. Starting at one end of your tie edgestitch your binding in place. Tie into a bow and you’re done! 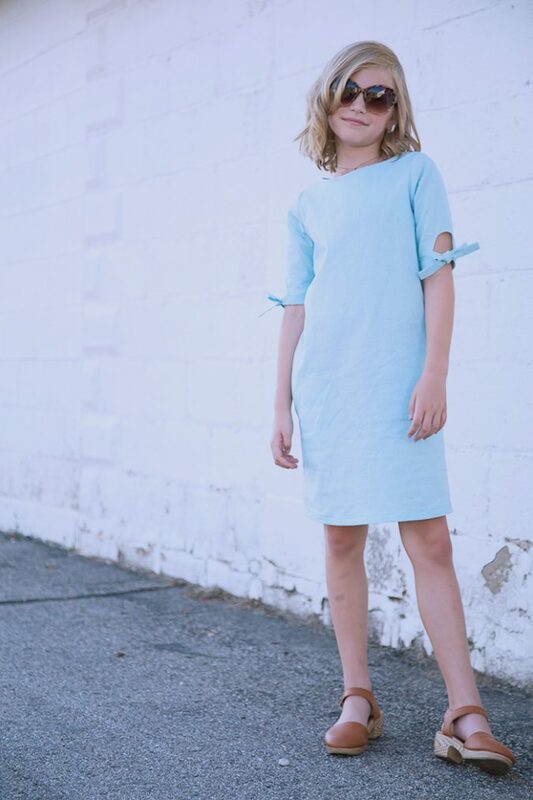 Now I just need to recreate this exact dress in my size! 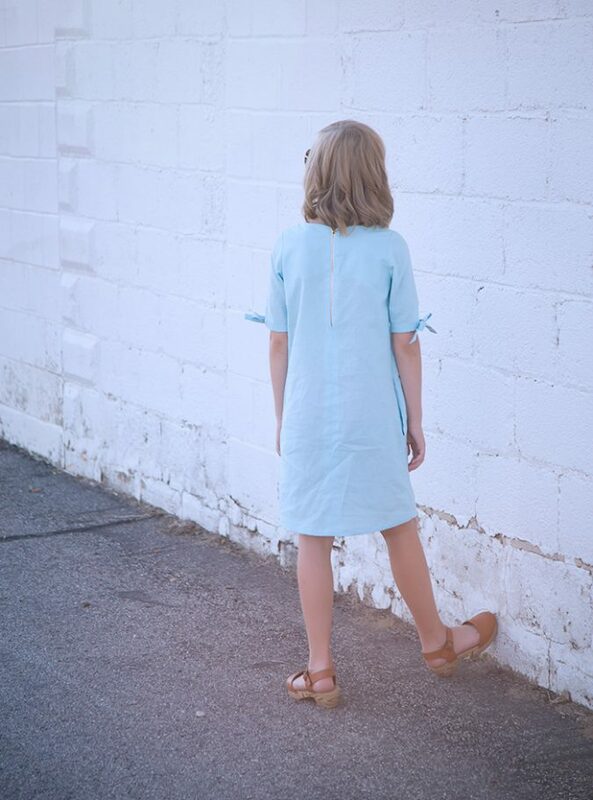 I used an aqua linen from Riley Blake fabrics and love the casual charm it adds to this pattern. 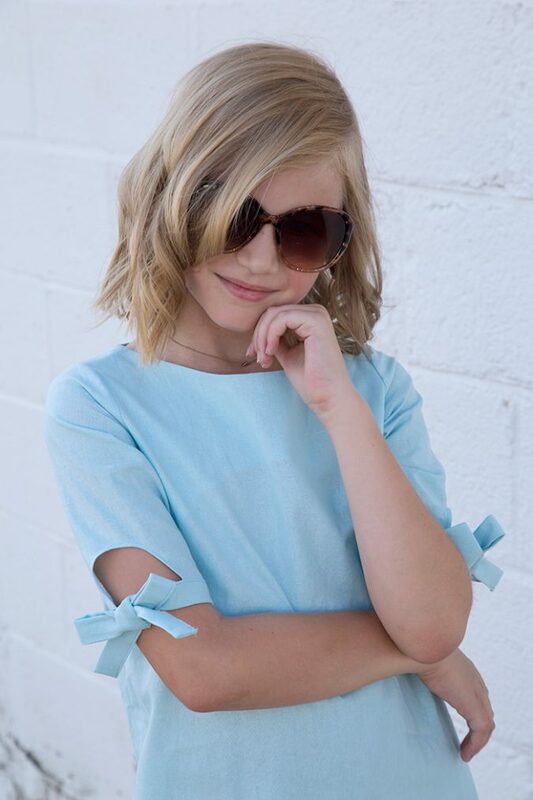 Such a sweet summer look! Thank you so much for this tutorial, Tami!! I agree, this definitely needs to find its way into your wardrobe too. It’s the perfect summer dress!